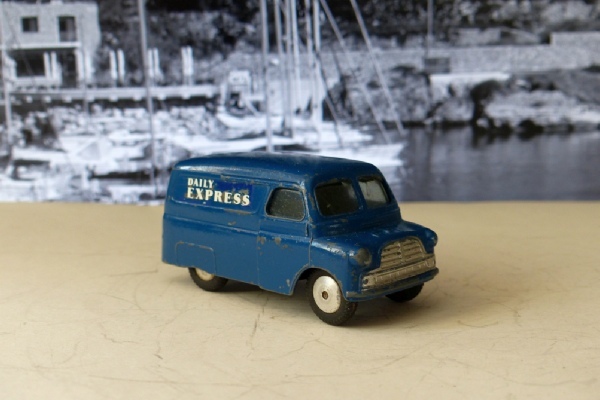 This was in the first batch of Corgis launched in 1956 and one of a series of these charming little vans. This example looks nice. There are some chips to the paintwork but mostly it is clean and it has good windows, wheels tyres and base. It is all original apart from the Daily Express transfers which are replacements. This has the curved grill.